Layaway is the topic du jour in consumer news this month as big-box retailers like Walmart, Kmart and Toys 'R Us battle it out for the best interest-free payment options this holiday season. With recent announcements of reduced or eliminated fees and extended repayment periods, layaway seems to be a smart option for cash-strapped shoppers. Though some will find the benefits of layaway attractive, there is a method to the retailers' collective madness that everyone should be aware of. So before you get caught up in the layaway hype, consider these six reasons why holiday layaway may not be the right shopping strategy for you. Though some retailers have decided to drop the initiation fee, others are still charging. Best Buy collects five percent of the total order value while Walmart takes $5 for activating every plan. Walmart promises to refund that amount in the form of a gift card once your goods are paid off, but it's still extra dough you don't have to spend if you hold out for a sale. 2. Canceling will cost you. Should you have a change of heart or run into money trouble during the repayment period, canceling the layaway will cost you. Depending on the store's layaway policy, consumers can expect to pay a cancellation fee of anywhere from $10 to 10 percent of the original order. Canceling means you'll likely eat the initiation fee, too, which is more money down the drain. 3. Better deals abound later in the holiday season. Using a layaway program gives you plenty of time to pay off multiple gifts, but it also prohibits you from taking advantage of holiday deals. Free Shipping Day, for example, will occur on Monday, Dec. 17 and offers free shipping from over 2,000 popular online retailers along with additional discounts and delivery by Christmas. With several months to save up, you can get more bang for your holiday buck by holding off until late-season deals. 4. Spending money you haven't made yet is a dangerous move. 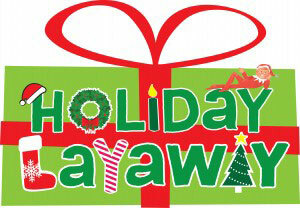 Layaway is a terrific tool for consumers who need to be disciplined around the holidays. However, anyone who spends money they haven't yet made can dig themselves into a deep financial hole. Just because you have a few extra weeks or months this season to pay off merchandise doesn't mean you should put items on layaway that are beyond your budget. 5. Credit cards offer better rewards. If you're strict about paying off your credit card or you recently opened a new card that offers no interest for an initial period, you may be better off swiping your plastic this holiday season. Most credit card companies now offer reward perks like cash back or travel points which are likely to increase during the holiday shopping season. The trick here is to start saving cash now to help pay off that balance so you don't get stuck with mounting interest rates. 6. Price adjustments may not apply. Retailers are less likely to offer price adjustments on layaway goods should those particular items go on sale during the repayment period. Before you set up a plan, read the fine print and ask about program details and price adjustments. Some stores like Kmart are willing to extend price adjustments for your layaway items, but only within the first seven days. In this circumstance, keep a watchful eye on the store's circular for special promotions or check online for available discounts.